BME supports the local community by working with Vet Industrial and Habitat for Humanity. 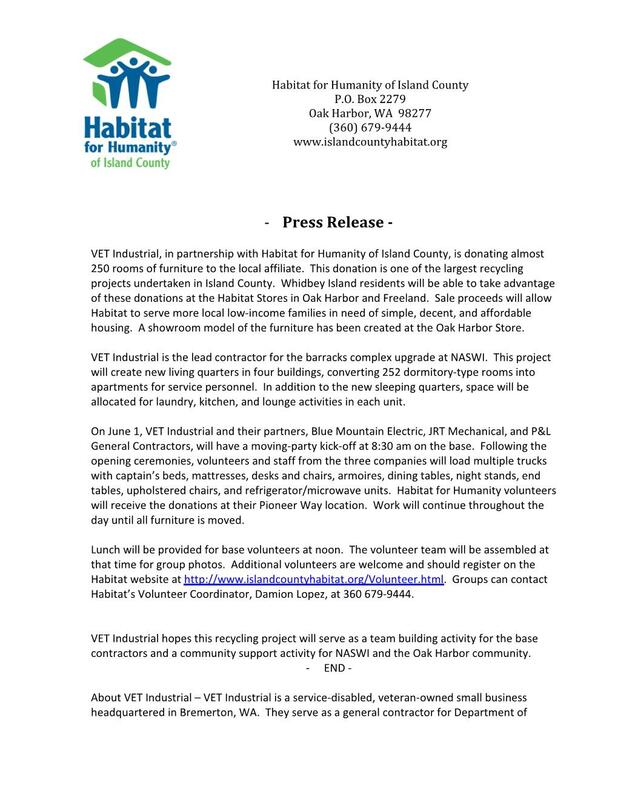 Blue Mountain Electric, P&L General Contractors, JRT Mechanical, and Notkin Engineering will be supporting Vet Industrial with labor and equipment to move the furniture from Barracks 12 to Habitat for Humanity. The work party will take place on June 1st. 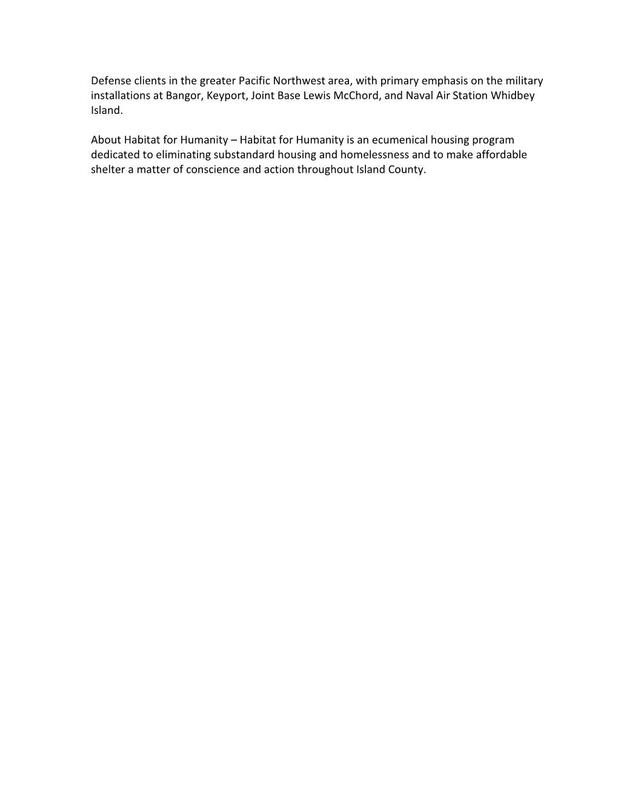 See the press release from Habitat for Humanity below for more information.